Stuffing has always been my favorite part of Thanksgiving dinner. Like pumpkin pie, it's one of those foods that I am accustomed to only eating once a year and I think that is one of the reasons I love it so much. Absence makes the heart grow fonder, after all. 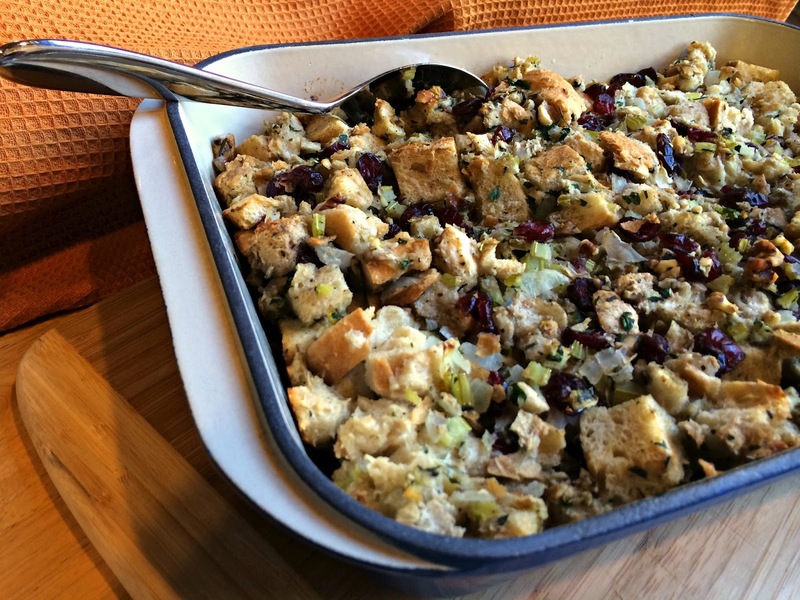 Back in the day, we used to eat the Stovetop instant stuffing and-- let's be honest-- it's pretty good. But as I got older and started helping my mom prepare Thanksgiving dinner I decided to take it upon myself to make homemade stuffing. 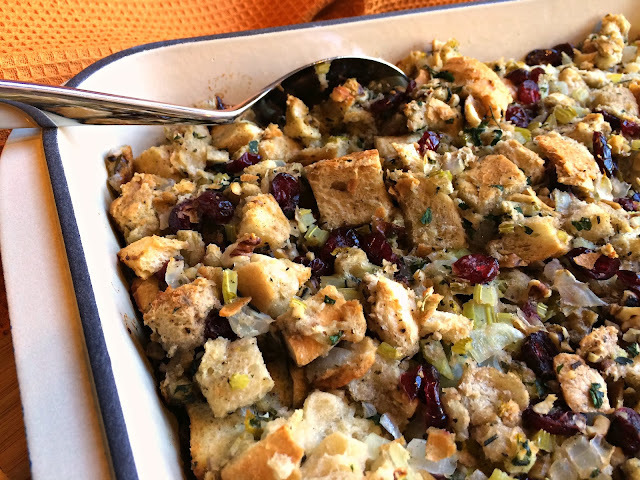 This cranberry walnut variety is the first stuffing recipe that I tried and although I have tweaked it along the way, it has been our go to recipe for almost 15 years now. And I never get tired of it! This stuffing features sweet cranberries, hearty walnuts, tangy sourdough, and fresh flavorful herbs. I have tried swapping apples or raisins for cranberries, pecans for walnuts, or adding sausage or bacon-- and you're welcome to give any of those options a try-- but I really love the simplicity of this original recipe. It's just delicious and a perfect side dish to turkey along with a little fresh cranberry sauce. 16 oz. 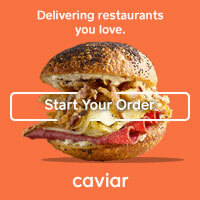 sourdough bread, cut into 1/2-inch cubes *Bread cubes should be stale-- you can dry them out by leaving them in a cold oven overnight or by baking at 250 degrees for 1 hour. In a large skillet, melt the butter over medium heat. Add the onion and celery and cook, stirring often. Cook for about 10 minutes or until onion is soft, fragrant, and just golden (not browned). Scrape the vegetables and butter into a very large mixing bowl. Add the parsley, rosemary, thyme, and bread cubes to the bowl along with the beaten egg and 3 cups of stock. Stir gently to combine all ingredients. Season with poultry seasoning, salt, and pepper. Fold in cranberries and walnuts and pour mixture into a buttered baking dish (a 9" x 13" is the perfect size). Pour the reserved 1 cup of chicken broth evenly over the top of the stuffing, cover with foil, and bake for 45 minutes. Uncover and cook for an additional 15 minutes until the top is golden.